Enzymes for Horses help to keep your horse's digestive and immune system healthy. Equine Enzymes come with 2 specific types. Digestive Enzymes for horses to help a horse assimilate and digest more of the food he is taking in. Systemic Enzymes fight Inflammation, fibrosis (scar tissue) and viruses. They help modulate the immune system, and cleanse the blood. They significantly reduce swelling, bruising stiffness, and help with joint stiffness and soreness. Systemic Enzymes help with cleansing the blood of fibrin buildup- which can help prevent stiff sore joints. 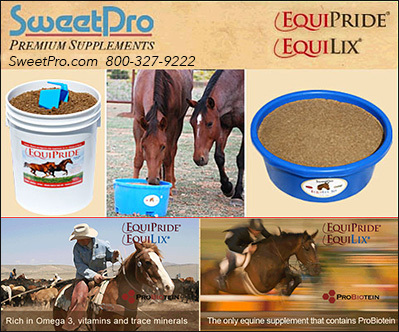 Make sure your horse has the Enzymes he or she needs for total health and great performance.